The team of the only higher education institution in Eastern Europe, offering bachelor’s programs in culinary arts received another high recognition. At the official ceremony on the occasion of the European Tourism Day, SMARTOURISM.BG annual awards were distributed. The Culinary Arts Institute at the Varna University of Management was awarded in the “University Program” category, which once again proves the innovative approaches that the higher education institution imposes as a norm in the field of tourism and hospitality education. 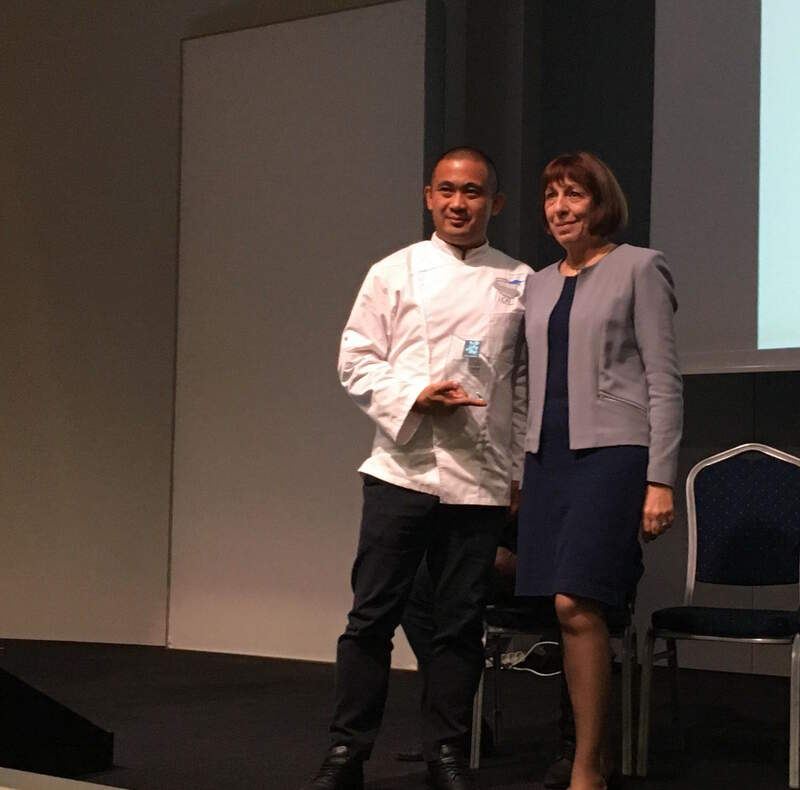 On behalf of the award-winning institution, the high recognition was received by chef Robin Villarreal, head of the strategic culinary educational projects at Varna University of Management. The educational programs in the field of culinary arts give VUM students the opportunity to work among some of the best chefs in the world, to gain valuable experience in high-class restaurants and to work in Michelin star partner restaurants. Thus, the Culinary Arts Institute generates highly qualified specialists, adequate to the modern culinary trends and technologies as well as to the innovative models in the field of tourism and hospitality as a whole. All this indicates the enormous contribution of VUM to the development of smart tourism in Bulgaria.